In my latest Body Shop splurge I picked these up after hearing brilliant things from friends, and because my skin has been absolutely dreadful lately! I have been so impressed with this skincare trio from the Body Shop. Even though it looks like I haven't used any in the photo, I have actually been using this for a week. A little does go a long way! The Tea Tree Skin Clearing Foaming Cleanser has been brilliant at reducing breakouts. I will warn you the smell is really strong, especially compared to the other two products, but I'm a fan of Tea Tree so I don't mind. I find this is really gentle but effective. The Tea Tree Skin Clearing Toner was something so many of you told me you loved, and you definitely didn't let me down! This is really effective at removing any final dirt or make up and I find that my skin tingles and warms up slightly after using this. Not in an 'oh my god I'm having an allergic reaction' kind of way, but in a 'goodbye spots' sort of way!! The Tea Tree Skin Clearing Lotion is a perfect end to the trio. This is non-greasy but really hydrating. 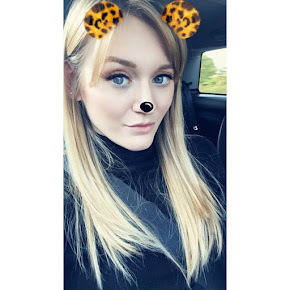 Within a few days I noticed my skin was considerably clearer and I was experiencing less breakouts. I find that it has a brilliant mattifying effect without overly drying out my skin, so this is perfect if you have oily or combination skin and are prone to breakouts. My skin feels refreshed and hydrated and for the price I think it is absolutely worth every penny. I will definitely be repurchasing! 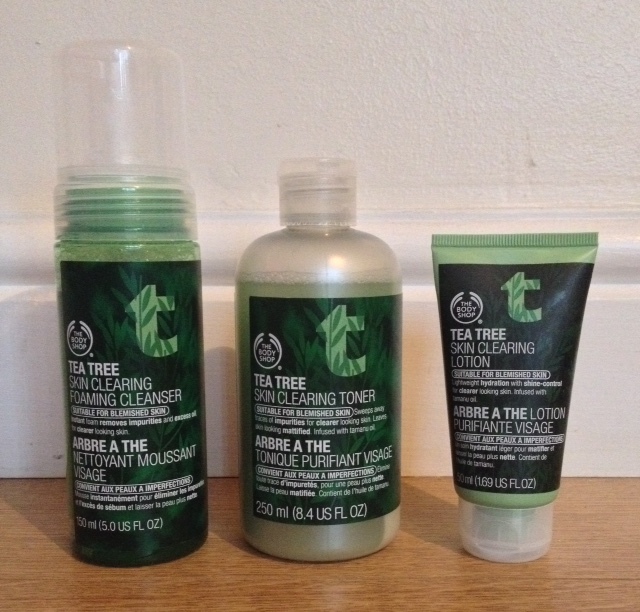 I have posted the links to the products above, but when I popped into the Body Shop in Leamington Spa, I noticed they did a bundle of all three in a bag with a discount off RRP. I would definitely recommend heading to your local store first and seeing if you can find this in yours! Great aren't they! I'm forever trying new skin care so not sure I will stick solely to these but they are a firm favourite! I think I might try the foaming cleanser and/or the lotion! I had the toner before, and loved it! I love this range so much, I'm gutted I've ran out. I used to buy the smaller sets you were on about as they last for ages. You should try the tea tree mask from there too, it's amazing! I have literally been looking all over the place for a review on this stuff! My skin is so bad at the moment, and think I may have to try this out!